Now they just need to release it on Virtual Console. Mobile phones and android consoles are fine and all, but I'm sure a load more people would be able to enjoy it if it was on the Virtual console as well. And the one that was released on the DS was a remake. The game on Ouya is also going to be the remake, Square Enix is not going to go and translate the original game for the first time to release it in a platform that almost everyone has forgotten about. What I'm interested in seeing is whether they touch up the graphics any. It looks kind of ugly as-is. Update 8: ouya to partner with VEVO to bring music videos to ouya, not really what i want from ouya personally but there it is, also just passed the $6 million mark too. Also looks like the buttons have been labelled to spell ouya now. Oh well. The articles I did link to did say how significant it was for a company like Square-Enix to come out and support the system, so that's good news for Ouya. 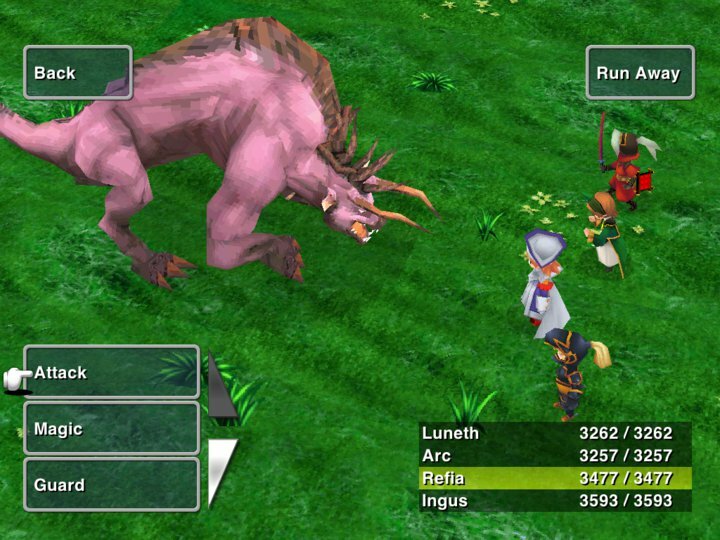 If only Square-Enix would revive Cavia as an Ouya/Mobile developer. That'd be the day that I literally flip the **** out! Technically Cavia still exists, as the majority of the team became AQ Interactive. AQ Interactive being the guys that made the awesome Fortune Street on the Wii. I'm... not sure who or what owns Cavia's franchises now. I guess AQ Interactive, but Square Enix has publishing rights. This is why I think Drakengard is not yet a PS2 Classic download. c...can they do that? Like, they'll be getting a license from Nintendo, right? EDIT: The bottom of the page says no. I honestly wonder about the legality of that. It sounds cool, but if they're asking for funding, I'm sure Nintendo would want a piece of that pie, so I'm not sure I'd get my money's worth if I invested in it. I think its all above board as they are based on the manga books that have been on sale for a while so they must have the licensing sorted out, have a few of the books myself and they are they aren't bad really and quite cheap too. yeah just read that too weird guess that means they'll distribute it free maybe, but does kickstarter count as making money of it I have no clue. Oh wow, it's close to hitting $7 million. Mickey's right. Anyone who supports that project is supporting a project that will be sued to the point where everyone involved will be bankrupted. Kickstarter funding will qualify as revenue in the eyes of any legitimate court. Guaranteed. In fact I suspect Nintendo and the owners of the Manga license would be within their legal rights to go after the people who have funded this project if it succeeds. I really, really do not recommend supporting that one. I'm very surprised to see it too. Perhaps their checking process isn't as robust as it probably should be. Finally decided to back this project. March 2013 should be interesting. I'm still not confident that this thing can be produced at all - let alone by March 2013 (given that they can still only offer up renders) - and would advise people not to pledge unless they realise that it's not a pre-order as no product is guaranteed (although I did notice, interestingly enough, that the pledge categories do use the word 'guaranteed'.) It's a bit of a gamble - I hope it pays off for everybody, but we'll just have to wait and see. $8 million mark passed nearing 60,000 pledges and NamcoBandai has voiced its support, looking promising. I wasn't too far off. I predicted it could hit $10 million. It got to $8.5 million. It's going to be interesting to see what happens next. If they're serious about this (and no doubt they are), they'll need to find some angel investors next. Given how much of a hit this was on Kickstarter, there should be some. Namco Bandai seems very fond of the Ouya. Shiftylook is a recent division of Namco Bandai that started to revive forgotten IPs starting with webcomics (check them out, they're really cool). If Ouya and Shiftylook are both successful, then the Ouya could be both a mecca for indie games AND a mecca for obscure Namco games (I'm not talking about the ones normally found on newer Namco Museum collections).